But those very readings, posted hourly on Twitter or through an iPhone app, have prompted a public debate over whether the Chinese government is purposely obscuring the extent of the nation’s air pollution. 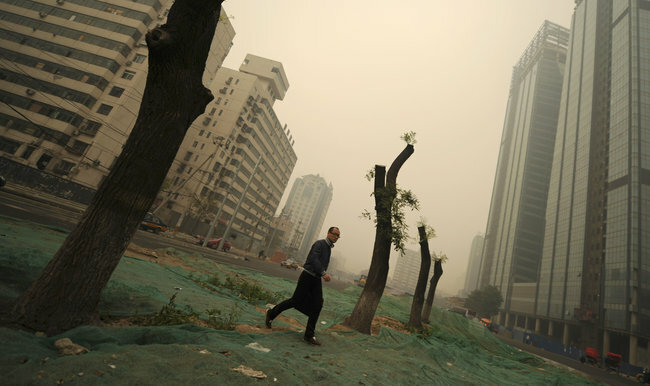 Unlike the American Embassy readings, Chinese environmental officials do not publicly release data on the smallest particulates, those less than 2.5 micrometers, which scientists say are most harmful because they are able to penetrate the lungs so deeply. Instead, government data covers only pollutants larger than 10 micrometers —a category that includes sand blown in from the arid north and dust stirred up from construction sites. The New York Police Department, already saddled with corruption scandals, saw its image further tainted on Tuesday with the conviction of a detective for planting drugs on a woman and her boyfriend. The bench verdict from Justice Gustin L. Reichbach in State Supreme Court in Brooklyn stemmed from acts committed in 2007 by the defendant, Jason Arbeeny, a 14-year veteran of the department who worked in the Brooklyn South unit. Detective Arbeeny was convicted of official misconduct, offering a false instrument for filing and falsifying business records. Charles Guria, a prosecutor, described this latest case of police corruption as an abuse of power. “It’s a sad day when a police officer misuses his authority,” Mr. Guria said. On Jan. 25, 2007, prosecutors said, Detective Arbeeny planted a small bag of crack cocaine on two innocent people. The detective’s lawyer, Michael Elbaz, tried to discredit the most important prosecution witnesses, Yvelisse DeLeon and her boyfriend, Juan Figueroa. Ms. DeLeon had testified that the couple drove up to their apartment building in Coney Island and were approached by two plainclothes police officers. She said she then saw Detective Arbeeny remove a bag of powder from his pocket and place it in the vehicle. Later in 2007, the detective was accused of stealing multiple bags of cocaine from the prisoner van to which he had been assigned; Justice Reichbach found Detective Arbeeny not guilty of those charges. Though there had been conflicting testimony during the trial about the existence of quotas in the department’s drug units, Justice Reichbach said, a system of flawed procedures in part led to the charges against Detective Arbeeny. In the department’s Brooklyn South narcotics unit, for instance, drugs seized as evidence are not counted or sealed until they reach the precinct and can be handled by multiple officers along the way, Justice Reichbach said, adding that such unacceptable practices “pale in significance” to the “cowboy culture” of the drug units. Sentencing is scheduled for January. 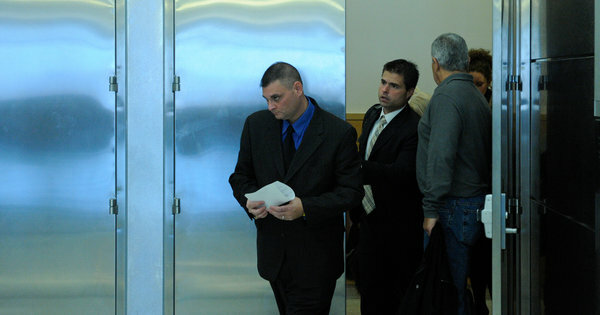 Detective Arbeeny faces up to four years in prison. FLAGLER-PALM COAST – A decision by the Flagler County School Board allowing resource officers to carry tasers has angered Black residents and prompted the local NAACP branch to file a petition against the decision. Circulating via e-mail and also found online, the petition requests that the board prohibit the use of tasers in Flagler County schools and reverse its October vote allowing school resource deputies to carry the equipment. The controversial tool was taken out of Flagler schools in 2007 after garnering negative attention following the deployment of a taser on an exceptional education student. However, the discussion of again allowing tasers in schools came before the board after a fight broke out between two Matanzas High School students in August, leaving a school resource officer pummeled and head-butted after stepping in to break up the altercation. According to board minutes, law enforcement professionals and school board staffers provided board members with information during a September workshop that led to discussion about whether school resource officers should be carrying tasers in schools to counter threats against them and others. Board members were told that the taser is an additional intervention tool that falls between the ultimate use of deadly force – a firearm – and other non-lethal interventions. Law enforcement professionals consider tasers to be more appropriate under some conditions when compared to chemical agents such as mace and pepper spray or a baton. They believe that tasers are less dangerous to bystanders especially when used in a crowd. Tasers are carried and used by other members of the Flagler County Sheriff’s Office as an additional weapon who are trained in their use. The board discussed the pros and cons of tasers being added as an additional weapon to be used by the school resource officers. Resource officers are scheduled to begin carrying tasers in Flagler County Schools after the Thanksgiving holidays. They already carry handguns as well as pepper spray. According to information provided to the board, tasers or similar stun guns work “by pressing a pair of electrodes against the victim in order to create an electric circuit.” Either 9-volt or AA batteries supply power to the devices. Tasers are connected to insulated wires and fired from the weapon with a burst of carbon dioxide that can hit someone from 20 feet away. “Once the electrodes hit their target, the taser sends a pulse with about 50,000 volts and a few milliamps. On its standard setting, the pulse cycles for five seconds before shutting off,” the board was told. 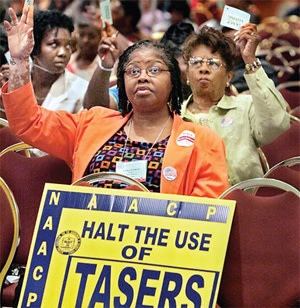 Citing health risks to students and the need of proper training for resource officers, the Flagler County NAACP branch disagreed with the use of tasers in the school system. Members feel there is a better alternative to dealing with unruly students. “Adequately-trained LEOs (law enforcement officers) should be able to physically take down adults,” said Haywood. “With the understanding that the use of more substantial force may be necessary in some cases, it should never be used in a school setting. “Medically, there are numerous reasons why tasers could be detrimental,” Haywood said. “Without knowing an individual’s health history, deputies would be taking a great risk in using a taser on a student. Cardiac and neurological side effects may occur, causing extreme illness or possible death. “There must be a more acceptable way to deal with disruptive students. After all, they are still children,” Haywood asserts. According to the Palm Coast Observer newspaper, Sheriff Donald Fleming supports deputies carrying tasers in schools following the August altercation. Fleming believes that tasers give the officers another option for dealing with situations that could spiral out of control and endanger students and resource officers in Flagler. Flagler City resident Nanci Scarci also signed the online petition. 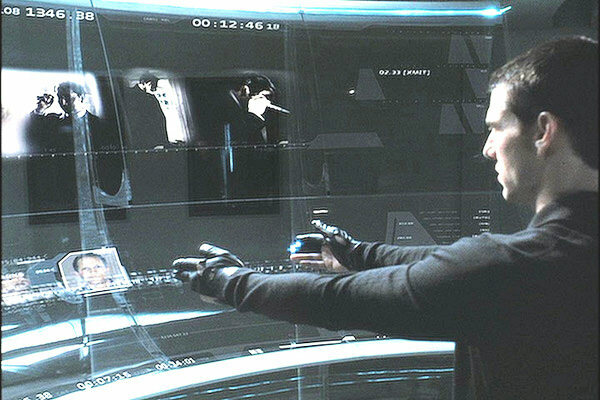 The U.S. government’s experimental system using algorithms to profile and predict whether a person is likely to commit a crime carries inaccuracy in determining future and potential criminal behavior, psychologists warn, noting that it also intrudes personal privacy and will be difficult to implement in Asia-Pacific. Reports last month unveiled that the U.S. Department of Homeland Security was testing a prototype screening system that profiled people, based on algorithms, to detect mal-intent through factors such as ethnicity and heart rate. Termed Future Attribute Screening Technology (FAST), the system is designed to track and monitor various inputs such as body movements, voice pitch changes, body heat changes and breathing patterns. Factors such as occupation, age, blink rate and pupil variation will also be considered. The Homeland Security also suggested that FAST could be used at security checkpoints such as border crossing or large public events and had been tested at an undisclosed location in the north-eastern part of the U.S. The U.S. government body said such pilots were “entirely voluntary” and would not store any personally-identified information from participants once the tests were completed. Tommy Tan, a Singapore-based consultant psychiatrist at Tommy Tan Psychiatrist Clinic, noted that the FAST system would be “absolutely inaccurate” because the factors determining the various parameters in the profiling were simply too numerous and impossible to account. He told ZDNet Asia that there is also no correlation between physiological parameters and criminality. Psychopaths, for example, exhibit “very normal parameters” and have passed polygraphs with “flying colors” on many occasions, Tan explained. Studying the relationship between these variables and crime was interesting from a purely academic perspective, but it would be “deeply alarming” if it was applied as a guide for the Homeland Security’s operational activities, Eckerley said in an e-mail. According to Nelson Lee, medical director and psychiatrist of The Psychological Wellness Centre, the FAST system is still in a very early stage of development and, hence, it would be too early to tell if it can successfully pick out potential criminal behavior. However, he told ZDNet Asia that the vast number of variables that may have to be observed and used for mal-intent prediction may render this a “very challenging and difficult task”, if it were to be used with any reliability. In addition, FAST swerves “dangerously close” to eugenics, or social movements that advocate practices aimed at improving the genetic composition of a population, Simon Davis, director-general of Privacy International, noted in an e-mail interview. He added that civilized countries with a respect for human rights generally would refuse to implement such programs. Most of the work conducted in pre-crime analysis “raises more questions than answers”, Davis remarked. Apart from privacy issues, Lee added that there will also be concerns about prejudice being formed with regard to individuals or certain groups of people as a result of such profiling. EFF’s Eckerley added that there will be “many intrusions” into people’s lives and only on rare occasions will these measurements be useful. He noted that people will be subjected to monitoring devices that detect emotions of anger or nervousness, and police and security forces worldwide will be “scrambling a team” every time something happens that triggers anger or nervousness among visitors. The sheer number of differences in ethnicity and cultural nuances will also make profiling visitors by algorithms a challenging project to pull off in the Asia-Pacific region, noted Lee of Psychological Wellness Centre. He explained that culturally, even people with the same ethnicity who have “naturalized” to a new environment may still be very different from people who are origins of that place. This can make algorithm profiling even harder to be of any true predicative value, Lee said. Yet, Davis of Privacy International warned that there was a possibility Asian countries might be “seduced by false claims” of the U.S. researchers to implement such systems. “[These countries] must understand that pre-crime profiling carries the risk of creating social division and a breakdown of trust in the government,” he said. The probe is taking place at the Nanhai Red Cross Hospital in the Guangdong provincial city of Foshan where the incident occurred on October 26, the Nanhai district health bureau said in a statement faxed to AFP. According to the statement, Liu Dongmei — eight months pregnant — had been rushed to the hospital with internal bleeding and stomach cramps. She later had an emergency birth, but the baby was neither breathing nor crying after leaving the womb and its skin had turned purple, it said. Believing it was dead, the medical team disposed of the child but did not follow proper hospital procedures, the statement added. The Foshan News, a local website, reported that when Liu’s sister-in-law asked to see the body around 30 minutes after birth, she was handed a yellow plastic bag containing the infant and found it was still alive. “I opened the plastic bag and saw the baby’s hands and feet moving, the stomach was going up and down and air bubbles were coming out of his mouth,” the paper quoted her as saying. She was further shocked when she saw the baby was a boy — not a girl as the family had been told, it said. According to the Foshan News, nurses had told the family the child was a girl in an effort to blunt the blow of its death. In China, baby boys are often viewed as more precious than girls, as many families can have only one child as part of the nation’s population policy and desire a male heir. Following the discovery, the newborn was rushed to intensive care where he remains in a stable condition. Officials at the hospital refused to comment on the incident when contacted by AFP. China’s healthcare system — once widely praised for improving the health of millions — is now panned as costly, underfunded and providing shoddy treatment, especially in poorer regions. Liu and her husband are seeking to sue the hospital for 300,000 yuan ($45,000), the Beijing News said. 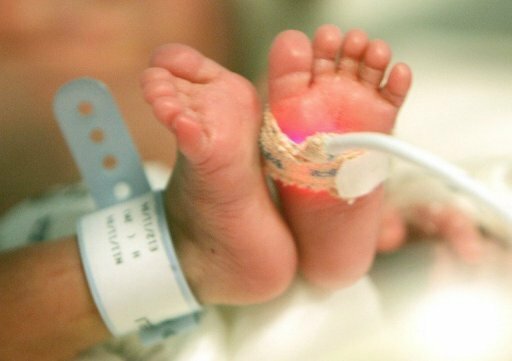 The head of the maternity ward, a doctor and two nurses have been suspended pending the results of the investigation, it added. 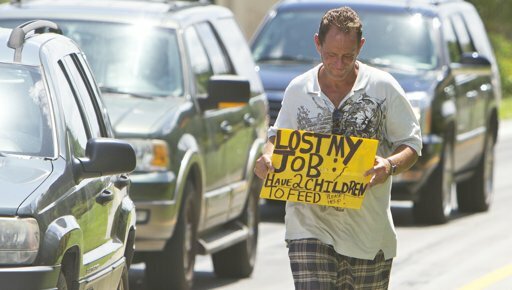 In a Thursday, Sept. 16, 2010 file photo, a man who did not wish to be identified, who lost his job two months ago after being hurt on the job, works to collect money for his family on a Miami . About 20.5 million Americans, or 6.7 percent of the U.S. population, make up the poorest poor, defined as those at 50 percent or less of the official poverty level. Those living in deep poverty represent nearly half of the 46.2 million people scraping by below the poverty line. In 2010, the poorest poor meant an income of $5,570 or less for an individual and $11,157 for a family of four. WASHINGTON (AP) — The ranks of America’s poorest poor have climbed to a record high — 1 in 15 people — spread widely across metropolitan areas as the housing bust pushed many inner-city poor into suburbs and other outlying places and shriveled jobs and income. New census data paint a stark portrait of the nation’s haves and have-nots at a time when unemployment remains persistently high. It comes a week before the government releases first-ever economic data that will show more Hispanics, elderly and working-age poor have fallen into poverty. Signs of a growing divide between rich and poor can be seen in places such as the upscale Miami suburb of Miami Shores, where nannies gather with their charges at a playground nestled between the township’s sprawling golf course and soccer fields. The locale is a far cry from where many of them live. One is Mariana Gripaldi, 36, an Argentinian who came to the U.S. about 10 years ago to escape her own country’s economic crisis. She and her husband rent a two-bedroom apartment near Biscayne Bay in a middle-class neighborhood at the north end of Miami Beach, far from the chic hotels and stores. But Gripaldi said in the past two years, the neighborhood has seen an increase in crime. Broken down by states, 40 states and the District of Columbia had increases in the poorest poor since 2007, and none saw decreases. The District of Columbia ranked highest at 10.7 percent, followed by Mississippi and New Mexico. Nevada had the biggest jump, rising from 4.6 percent to 7 percent. Concentrated poverty also spread wider. After declining during the 1990s economic boom, the proportion of poor people in large metropolitan areas who lived in high-poverty neighborhoods jumped from 11.2 percent in 2000 to 15.1 percent last year, according to a Brookings Institution analysis released Thursday. Such geographically concentrated poverty in the U.S. is now at the highest since 1990, following a decade of high unemployment and rising energy costs. Extreme poverty today continues to be prevalent in the industrial Midwest, including Detroit, Grand Rapids, Mich., and Akron, Ohio, due to a renewed decline in manufacturing. But the biggest growth in high-poverty areas is occurring in newer Sun Belt metro areas such as Las Vegas, Riverside, Calif., and Cape Coral, Fla., after the plummeting housing market wiped out home values and dried up construction jobs. As a whole, the number of poor in the suburbs who lived in high-poverty neighborhoods rose by 41 percent since 2000, more than double the growth of such city neighborhoods. Elizabeth Kneebone, a senior research associate at Brookings, described a demographic shift in people living in high-poverty neighborhoods, which have less access to good schools, hospitals and government services. As concentrated poverty spreads to new areas, including suburbs, the residents are now more likely to be white, native-born and high school or college graduates — not the conventional image of high-school dropouts or single mothers in inner-city ghettos. The more recent broader migration of the U.S. population, including working- and middle-class blacks, to the South and to suburbs helps explain some of the shifts in poverty. A study by the Joint Center for Political and Economic Studies found that the population of 133 historically black ghettos had dropped 36 percent since 1970, as the U.S. black population growth slowed and many blacks moved to new areas. The newest residents in these ghettos are now more likely to be Hispanic, who have more than tripled their share in the neighborhoods, to 21 percent. Just over 7 percent of all African-Americans nationwide now live in traditional ghettos, down from 33 percent in 1970. “As extreme-poverty neighborhoods emerge in more places, that is shifting the general makeup of those populations,” said Kneebone, the lead author of the Brookings analysis. New 2010 poverty data to be released next week by the Census Bureau will show additional demographic changes. The new supplemental poverty measure for the first time will take into account non-cash aid such as tax credits and food stamps, but also additional everyday costs such as commuting and medical care. Official poverty figures released in September only take into account income before tax deductions. Based on newly released estimates for 2009, the new measure will show a significant jump in overall poverty. Poverty for Americans 65 and older is on track to nearly double after factoring in rising out-of-pocket medical expenses, from 9 percent to over 15 percent. Poverty increases are also anticipated for the working-age population because of commuting and child-care costs, while child poverty will dip partly due to the positive effect of food stamps. For the first time, the share of Hispanics living in poverty is expected to surpass that of African-Americans based on the new measure, reflecting in part the lower participation of immigrants and non-English speakers in government aid programs such as housing and food stamps. The 2009 census estimates show 27.6 percent of all Hispanics living in poverty, compared with 23.4 percent for blacks. Alba Alvarez, 52, a nanny who chatted recently in Miami, said she is lucky because her employer rents an apartment to her and her husband at a low rate in a comfortable neighborhood on the bay. But her adult children, who followed her to the U.S. from Honduras, are having a tougher time. They initially found work in a regional wholesale fruit and vegetable market that supplies many local supermarkets. But her youngest son recently lost his job, and since he has no legal status, he cannot get any help from the government. MANALI: Many Himalayan regions are likely to face one of the coldest winters this year as water in taps has already started freezing in some high altitude areas. Also, a thick layer of frost has covered highways across Lahaul-Spiti, causing traffic disruption. Darcha, the last village of Himachal Pradesh on the Manali-Leh axis, is already freezing with minimum temperature dipping below minus 3 degrees Celsius. Yoche, Marbal, Yangrang, Naingar and Telangbe villages of Lahaul-Spiti are shivering at sub-zero temperatures. People living in Manali, Kinnaur, Lahaul-Spiti and other hilly areas have stopped driving two wheelers. They say they have never experienced such cold weather in the beginning of November for a long time. Spending their days around bonfires residents of Naingar village think despite delay in snowfall, this November is colder than last year. Ram Singh, an elderly resident, said they have witnessed only one spell of snowfall in past four months but the weather is abnormally cold. “Last year’s October and November had witnessed frequent snowfalls but water taps froze only after December,” he said. Keylong, the district headquarters of Lahaul-Spiti, is freezing at 0.2 degrees, while Sissu recorded -2.8 degrees and Kalpa in Kinnaur recorded 1.5 degrees. But mid and lower hill stations are recording above normal temperatures. With minimum temperature of 10 degrees, Shimla recorded 1.8 degree above normal. Bhunter (8.1), Una (12) and Mandi (15.3) recorded higher than normal temperatures of 2.1, 4 and 6 degrees, respectively. Shimla met office director Manmohan Singh said high altitude hills were recording temperature below normal for this period of season but some mid and lower regions were unusually warm. 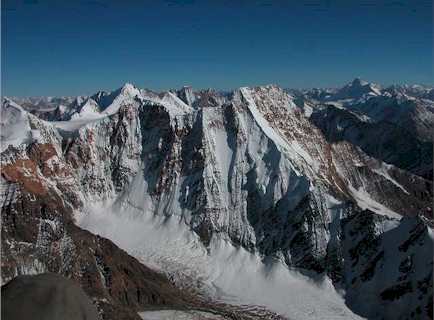 “Temperature on high hills might be many notches below the freezing point,” he said.